One of a woman’s best self-defense move is knowing how to punch. Punching, as we know, comes naturally to kids, so there is no reason why a women can not train that natural instinct to use punching as a way to protect herself. There is only one punch to learn and practice. There are no jabs, crosses, or uppercuts. Simple punching but very effective! To learn the punch, you don’t even need to turn your fist. The punch is vertical. The punch moves in one direction – forward, straight, and to the centerline of the person. This is very efficient and productive. Since the punch is direct, it is hard to deflect immediately because it is not easily seen by your opponent. 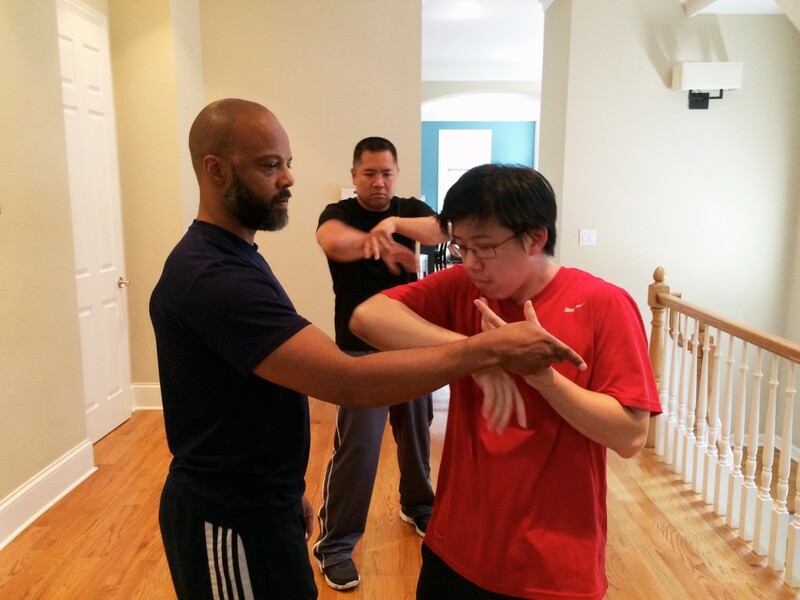 A key element to Wing Tsun punching is using both arms to punch which is called chain punching. With training, you can get your punches to move in rapid succession towards your opponent’s face. This flurry of strikes coming at your opponent will make him want to protect himself or get a lot of pain inflicted. 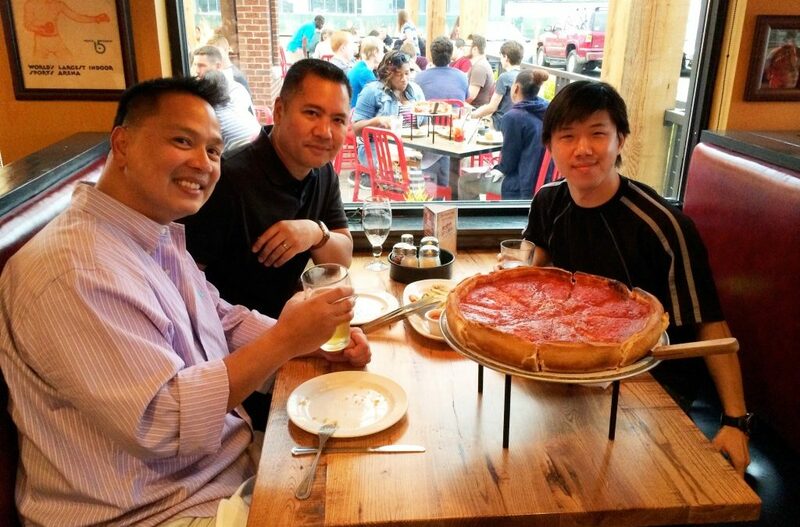 On August 1, 2014, SiSok Haw Kuo of Art of Wing Tsun (www.artofwingtsun.com) arrived in Chicago to train the WTK Instructors on streamlined self defense tactics and the foundation of a softer, principle-congruent Wing Tsun. 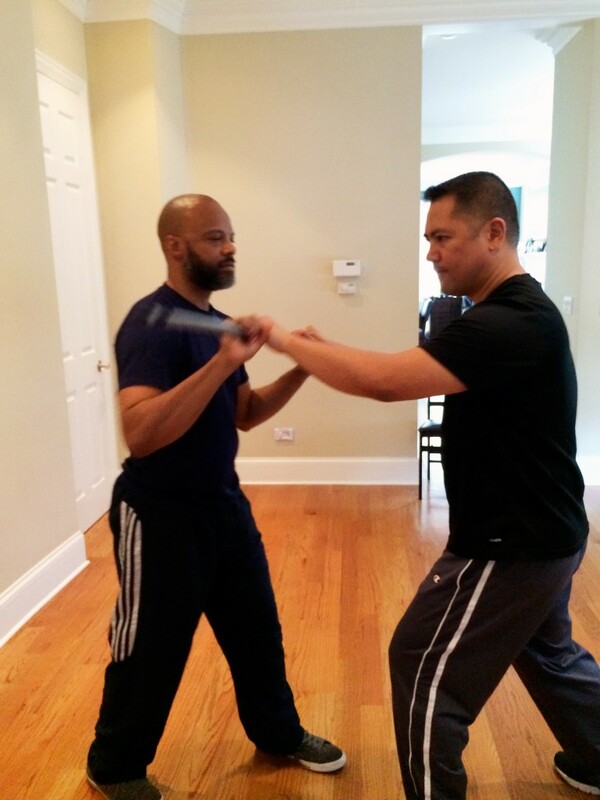 The following morning, SiSok showed us a streamlined self defense program that was condensed in order to simplify Wing Tsun for the beginner who seeks a fast route for self-protection. The simplified program distilled the number of combinations to just a handful, so that the beginner will have the tools to protect themselves against everyday aggression and attacks within the shortest training time possible. We worked on stance, positioning, using a trigger word, power generation of the falling step, dominant hand hit delivery, and control using the off hand. Towards the end of the morning, we requested to see how SiSok practices his Biu Tze and he happily showed us how he generated the whole body whipping power of the movements. In the afternoon, we focused on building the foundation of a softer, principle driven WT which we had heard about but only Allan had previously experienced when visiting Art of WingTsun. It dispensed with fixed, canned combinations and movements limited to only the WT forms, chi-sau sections, and automatic responses in favor of true feeling, proprioception, and mass transfer instead of rigid muscle use for power generation. It seemed literally an expression of Daoism’s Ying and Yang. We needed to move on every physical axis (lean forward, lean back, shift the body weight in all directions, pivot) while keeping our balance, paying attention to the attack, and making sure that we have the correct responses to distance, speed and timing, while also not being tense and not giving an opponent any exploitable input. After the training, SiSok held a Q&A session with us to talk about the WT concepts, principles, training methods, and teaching methods. 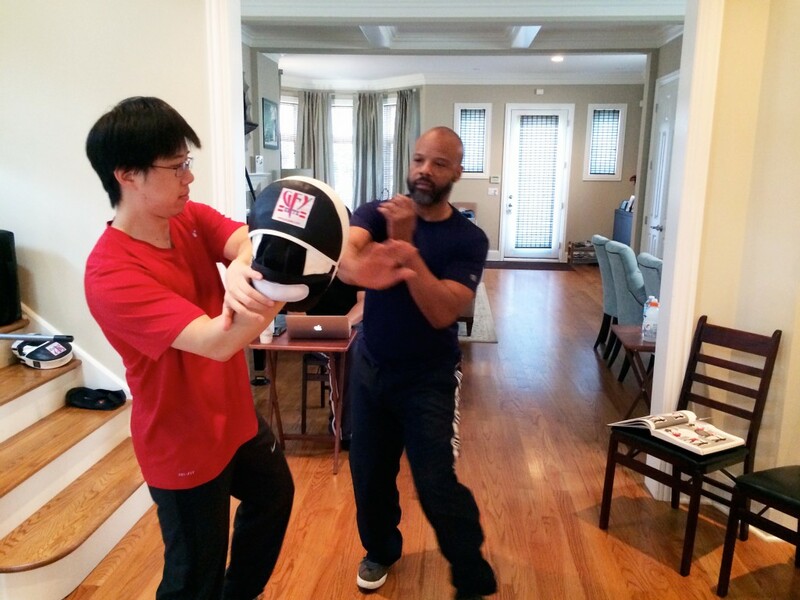 “Spent last weekend being introduced to zero pressure Wing Tsun! Streamlined self-defense, surfing, yielding, circular attacks, adaptation, and drop step power… It’s all in there! 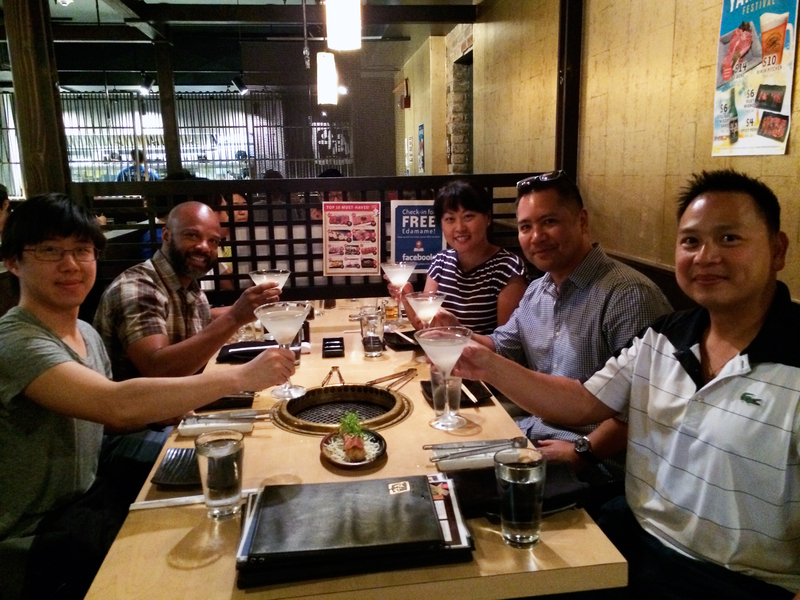 “I first met and trained with SiSok back in March 2011. 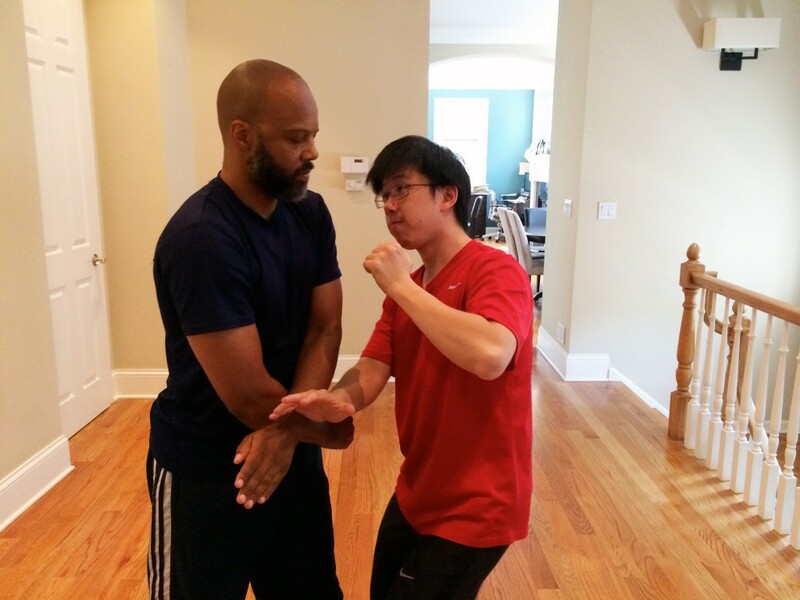 During that period of my training, I was only exposed to the “Big Man” way of Wing Tsun. He was the first person to show me how a smaller WT person moves and generates power. This changed the way I trained WT. 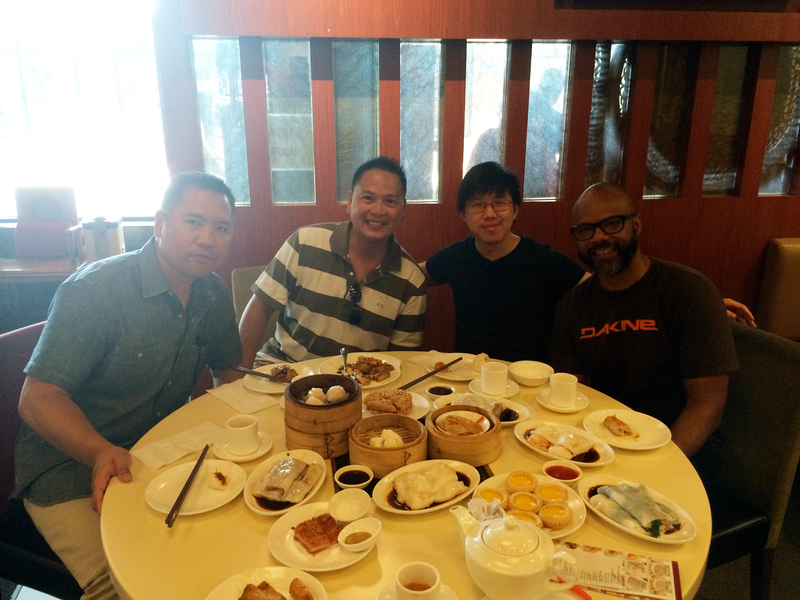 Fast forward to April 2014 and I was fortunate to once again train with SiSok and SiBak Marcus at Art of Wing Tsun. This time, I was introduced to the principle driven WT. It was a new way of understanding and training WT. It didn’t look like WT! They asked me to move in ways that was not in classical WT. I was skeptical, but I saw the passion in SiSok and SiBak’s eyes and their absolute commitment to this principle driven WT. They explained and showed me how their WT evolved and distilled to its essence. A lot of classical WT folks would probably dismiss it as ineffective and unnecessary. I read this recently. “Not following in the footsteps of the ancients but seeking what they sought. People don’t understand the deeper essence of their own traditions. Caught up in the letter of the law instead of the spirit of the law.” I think that continuous improvement is what keeps WT or any martial art alive. It allows me to grow and develop personally as I continue to expand my understanding of WT. It doesn’t mean that I throw away the classical WT. It is still essential to learning WT, but building and improving on my baseline capabilities will take my WT further. 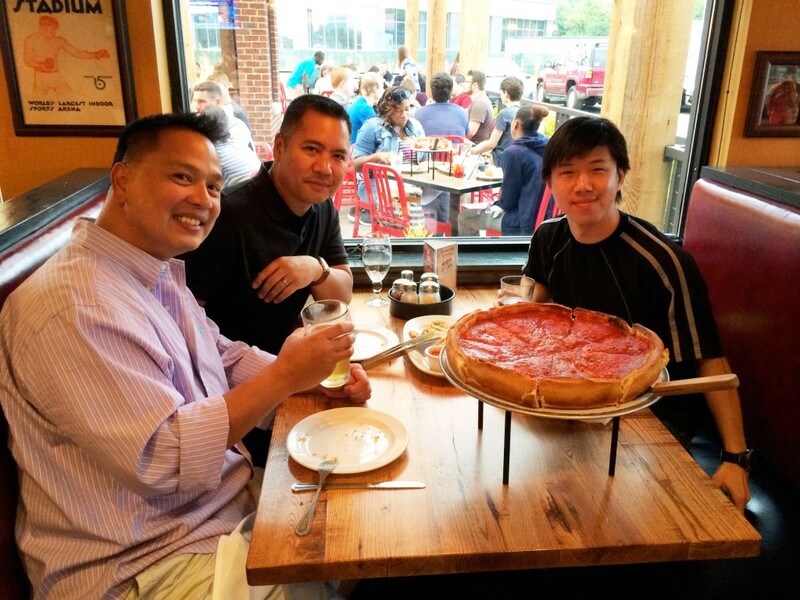 We would like to thank SiSok for coming to Chicago and sharing his knowledge and experience with us at WTK. We hope to train with him again in the near future. If you are ever in the Bay Area or have the opportunity to bring him to your school, we highly recommend training with him!